Faerber & Anderson, P.C., has the resources necessary to pursue full and fair compensation for victims of head injuries. We hire top experts to help prove our clients’ claims. Although victims of coma or amnesia sustain injuries that are readily apparent, concussion victims may not show symptoms until weeks or months after the accident. Whether you are a victim of a traumatic brain injury or post-concussive syndrome, you can count on our attorneys to help you prove your case in court. For over 40 years, we have been representing personal injury clients from our St. Louis, Missouri, office. We are also available to serve individuals in Illinois and Arkansas. Our firm obtained $2.1 million for a garbage collector who fell from the back of a garbage truck, hit his head on the pavement, suffered brain damage and spent weeks in a coma. As a result of our hard work, our firm was able to secure for the victim a nice home, with full supervision and substantial monthly income for the rest of his life. View other verdicts and settlements we have won for our clients. Head injuries are among the most dangerous and least understood forms of physical damage to the human body. There can be significant and long-lasting effects that can appear immediately or down the road. Our firm works with the St. John’s Mercy Head Injury Resource Center, which specializes in providing comprehensive evaluations and rehabilitation services for individuals with brain injuries. Their intimate understanding of subtle and traumatic brain injuries gives our clients the best opportunity to get a clear, accurate diagnosis and appropriate treatment for these complex cases. 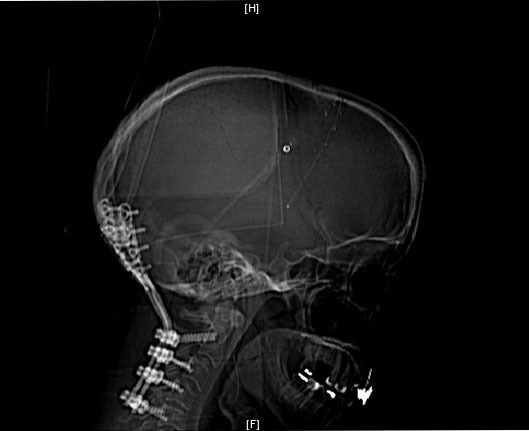 Prior to being injured in an accident, one of our clients had already undergone two surgeries for Chiari Syndrome, a condition where the brain herniates below the skull cavity into the neck area. Despite these substantial pre-existing injuries, our firm enlisted the help of specialists from the New York-area Chiari Institute to obtain an additional $1 million in compensation for the aggravation of the Chiari caused by our client’s fall. WHAT SHOULD YOU DO AFTER SUSTAINING A HEAD INJURY?